Properties in Castle of Couin average 4.7 out of 5 stars. Property 40: Village Location,peaceful Setting In Private Grounds, Ideal Touring Base. 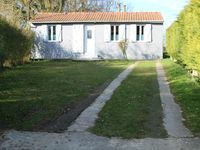 Property 49: Charming 3 bedroom cottage, in peaceful rural setting, 2 bathrooms, sleeps 6/7. For our use this was a perfect property. we had a very nice stay there.